Tom is back with a look at the third round of the 2016 AFL Draft. As a Fantasy lover, watching Kobe Mutch this year has been a joy. He is an ultra productive balanced midfielder, similar to 2015 Giant draftee Matthew Kennedy. Mutch was a member of the GWS Academy but the Essendon bid was not matched, granting them, in my opinion, the most productive midfielder of the draft pool. Mutch will be given more of a chance at the Bombers than he would’ve got at the Giants. He may be required to add 3 or 4 kilograms before round one but should make his debut next year. Throughout the Under-18 Championships, Mutch averaged 24 disposals, 4 marks, 5 tackles and 98 Fantasy points. He was even better for TAC Cup club, the Bendigo Pioneers, averaging 34 disposals, 7 marks, 4 tackles and 130 points. Mutch is not quick but is solid around the stoppages where his football smarts come into effect. The Cats were crying out for some height and that’s exactly what they got with Esava Ratugolea. The Fiji-born ruckman/key forward is one of the most athletic players in the draft pool. Already he has been compared to Nic Naitanui for his leap, athleticism and energy he brings to the contest. Ratugolea was a late inclusion to the Vic Country squad and made an impact for the runners-up, Murray Bushrangers. He averaged 76 Fantasy points for the Bushies from 10 disposals, 4 marks, 3 tackles and almost 2 goals – impressive statistics for a big man. At 194cm and 95kg, Esava may see some gametime for the Cats in 2017, whether its in the ruck or forward. Personally, I am extremely happy with this pick for the Crows. Poholke is a big bodied inside midfielder whose overhead marking strength gives him a point of difference. Poholke starred for Dandenong during the TAC Cup, eventually winning the Stingrays best and fairest. Richard Douglas, the player he has been compared to, will be a teammate of the AFL Academy member next year along with good mate and fellow draftee Jordan Gallucci. Poholke will be able to play straight away given his mature frame, and after averaging 90 Fantasy points in the TAC Cup, could be worth a spot on the watchlist. Sydney have picked up no-fuss defender Jack Maibaum with their third pick. The Eastern Ranges star is physically more advanced than many of the other key defensive prospects and will provide the Grand Finalist with good depth. Maibaum is good in one-on-one situations and also displays mobility. Maibaum’s size, 193cm, is difficult to get a read on. Potentially he may be a bit small for the bigger key forwards but is tall and mobile enough to play of the 2nd or 3rd tall. Melbourne had to wait a fair while for their first selection. This must’ve been fustrating watching such talent be drafted before hand. However they have gone for Footscray’s Mitch Hannan. Hannan’s greatest strengths include his foot skills and size which means he can be deployed in a number of different positions. However, one would think he’s been drafted as a medium forward. I would’ve expected Macreadie to be a Giant by the end of draft night, but instead the soon-to-be powerhouse club chose not to match the Blues bid. At the beginning of the year, Macreadie’s name was being thrown up as a potential top ten talent. However, for whatever reason, Macreadie dramatically fell down draft boards in 2016 since he showed excellent ability for NSW/ACT Rams as an bottom-ager in last year. Macreadie is composed, a potent intercept marker and reads the play well. At this stage, he is not quick and sometimes struggles one-on-one which could lead to him evolving into a tall midfielder. Not someone to consider for Fantasy. Darcy Cameron has been waiting a long time for this opportunity. Many experts believed he deserved a chance at AFL level and now that belief has become a reality. The Swans have a ready to go ruckman in to replace the Richmond-bound Toby Nankervis. 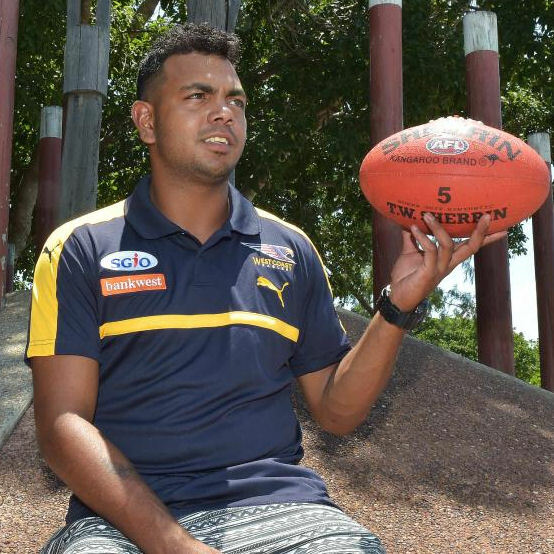 Impressed with his tap work and scoreboard impact for WAFL club Claremont. Needs to build up his endurance if he is to run out games. I don’t even think Lewis Young himself would’ve even dreamt about joining the Premiers earlier in the year. Young is an athletic key position player with an impressive verticle leap and speed for his height. He is a raw talent and will be tried in a variety of positions but the Bulldog coaching staff have a lot of potential upside to work with. The Magpies picked up a key position utility in Sam McLarty with their first pick and matched the ‘Roos bid for Callum Brown earlier in the draft. At pick 50, Collingwood selected Kayle Kirby, a medium/small forward from the Bendigo Pioneers. Kirby has been compared to Power great Byron Pickett and boasts goal sense, x-factor and lightning speed. Bendigo’s leading goalkicker, Kayle’s endurance and work rate will need to be improved upon but the signs look promising. Another one to monitor. Himmelberg was rumoured to have been in the frame for the Tigers pick 29 however the big Queenslander slipped into the Crows hands at number 51. Himmelberg can play at either end of the ground and pinch-hit in the ruck where his mobility, marking and verticle leap stand out. Despite averaging 82 points for Queensland in their two TAC Cup games, he was not as productive during the Championships, averaging just 37. A smart selection from the Crows given where there at. Will be behind a few key position players at the club and may struggle to break in for a while, but Himmelberg will provide versatility. In the words of Kevin Sheehan “Isn’t it great to see another Rioli in the AFL”. After Daniel was picked up by the Tigers last year, the Eagles soared on the mature-aged Glenelg small forward. For many years, Willie’s talent has been un-questioned. However he was overweight and as a result, his draft chances were decimated. However it’s a credit to him that he has been able to get his career back on track so soon. Rioli can make an impact straight away and should impress with his pace, defensive pressure and clean hands. Even Jack Graham himself isn’t quite sure how the Championships best player has been picked so late. Graham, a man-child at 183cm and 83kg, was adjudged the best player in Division 1 at the Championships, thus being named the overall MVP. Graham is a productive, contested ball winning inside midfielder who plays similarly to his new teammate Anthony Miles. Averaged 91 for SA and 104 for the Roosters. These impressive averages combined with his ability to play round one mean the croweaters skipper will be one to consider for your Fantasy team.